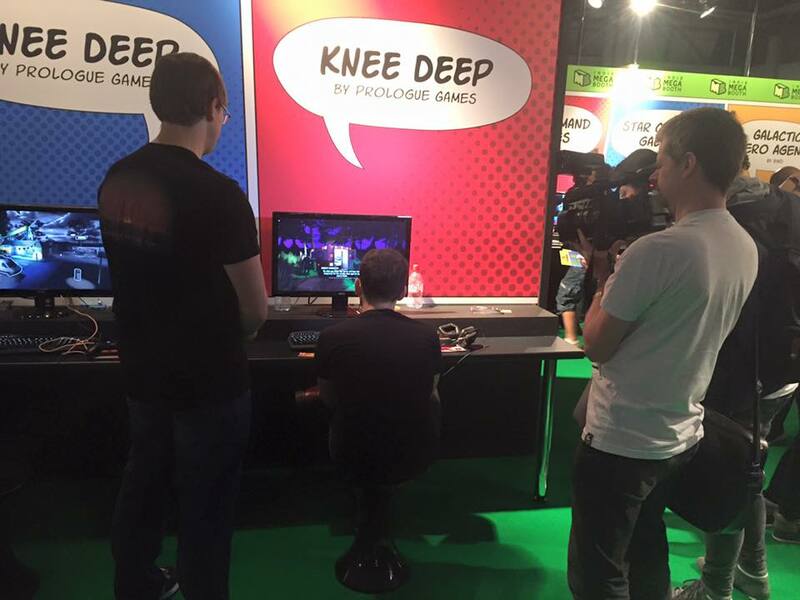 It seems like just yesterday Colin and I walked into the London Tobacco Dock for the first time to share Knee Deep with prospective players at EGX Rezzed. How has it already been a year since the launch of Act 1 on Steam? Time flies by like tourists in nondescript rental cars blithely zooming past the rundown teepee tower of Chief Roadside’s Wonderland on their way to happier places. Character voices matter. In a game driven less by puzzles and more by narrative, we couldn’t just hand players walls of text to read. It became especially apparent when we noticed people like Jim Sterling risking laryngitis to perform their own versions of the dialogue in the 2.5-hour opening segment of Knee Deep. Untried, unknown indie developers can’t expect immediate trust of players. We ran with advice that we should charge a full “season pass” price up-front for Act 1, with the idea that we’d add Acts 2 and 3 as they were finished. Turns out, players got burned too many times by companies that promised episodic content but either didn’t deliver or delivered very slowly. We’re our own best cheerleaders. Few people discover your game and make it popular on accident. It’s critical to keep a heartbeat going on social media – Twitter, Facebook, the company home page. And, whenever possible and affordable, share your work at big gaming conventions. 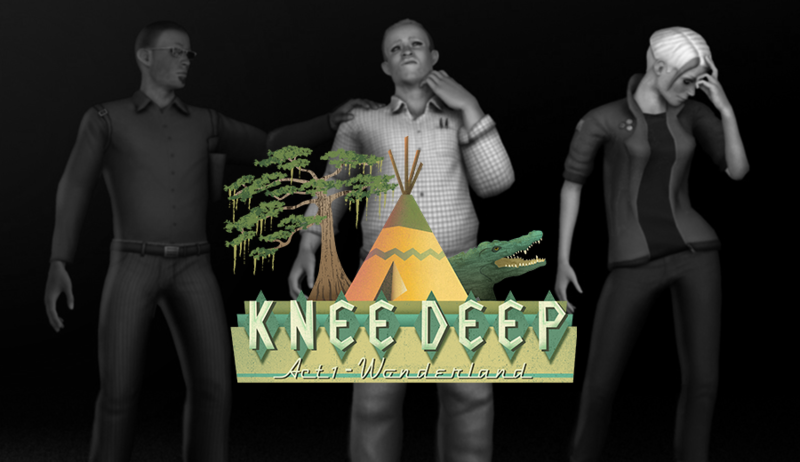 One blessing of Knee Deep’s three-act episodic approach and our small, agile indie dev team was that we could take player feedback, assess it, and then act on it in short order. The in-game voiceover issue is a perfect example of this. We’d heard some rumblings about the lack of character voices months before launch at EGX Rezzed. Initially, we opted against it – mostly because we thought it would be too expensive but also because, from an artistic standpoint, we thought players should be able to imagine those characters voices on their own. After Act 1 launch, we revisited the issue because so many otherwise positive critiques dinged us for the lack of voiceover. We connected with Krash Creative in Raleigh to help us coordinate the hiring and direction of voice actors for 40 characters in all three acts. We retroactively added voice acting to the first episode and plugged it into Acts 2 and 3 for their launches. Those few months between Acts 1 and 2 were, suffice it to say, incredibly hectic but rewarding. Now I simply can’t imagine our characters without the voice performances. We also took some criticism for the high price point out of the gate. We gave it a lot of thought, discussed it, and within two weeks shifted to the approach of simply raising the price of the game as each episode launched. This meant early adopters paid less for the full game, which was a nice perk. But we still struggled to get past the “I’ll wait until it’s done” mentality from many skeptical players. We don’t begrudge them that attitude – we’re gamers too. We get it. However, we’re proud to have demonstrated that Prologue Games can reliably design, produce, and launch a full episodic adventure. The first act launched in July 2015. The third and final act hit Steam less than a year later in March 2016. We don’t promise what we can’t deliver. Big takeaway from all this: What you say matters, we listen, and we act on it if we can. We also work very hard to remain responsive to people who post reviews or add discussion topics to our Steam community. We’re not some faceless international corporation. 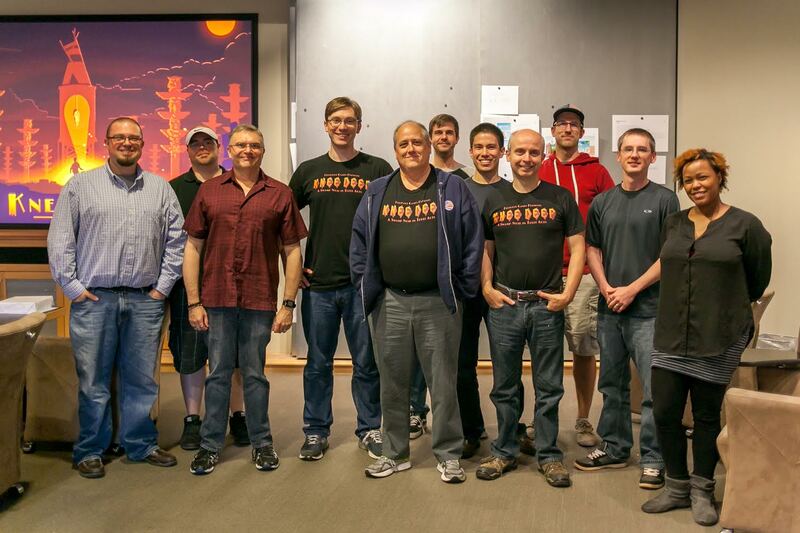 We’re a small team of enthusiastic game designers who don’t improve without your feedback. On the social media front, we’ve kept busy with our Twitter feeds (@PrologueGames and @DougPiranha, mostly), our Facebook page, and the Prologue Games website. We’ve engaged communities at Justadventure.com, adventuregamers.com, rockpapershotgun.com, and reddit.com. We’ve granted keys to dozens of game streamers, podcasters, and journalists. Yet we’ll still show up at PAX East as part of the Indie MEGABOOTH and hear people say they’ve never heard of Knee Deep. And we’ve barely been a blip on the radar for big gaming news sites such as RPS, Kotaku, and Polygon. Instead, we rely on smaller enthusiast sites to get the word out, hoping against hope that the bigger sites might realize what they’re missing. The marketing department can never sleep, it seems. It can use your help, though. The game’s done now, so there’s no more waiting for the next act. Help spread the word about a unique experience that combines the drama of a stage play production with a point-and-click narrative adventure/visual novel, without quicktime events or grueling puzzles! 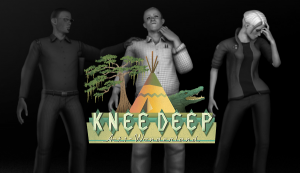 Tickets for Knee Deep on Steam are far cheaper and easier to get than a matinee of Hamilton on Broadway – and you won’t see a dog named Monroe driving a bulldozer into a shed in that show! We’re so grateful to our friends, families, and fans who’ve stuck with us during the first year after the curtain rose for the first time on the Prologue Theatre. We’re looking forward to showing what we can deliver next!